Today American Horse Publications (AHP) launches its fourth Equine Industry Survey at www.ahphorsesurvey.com. 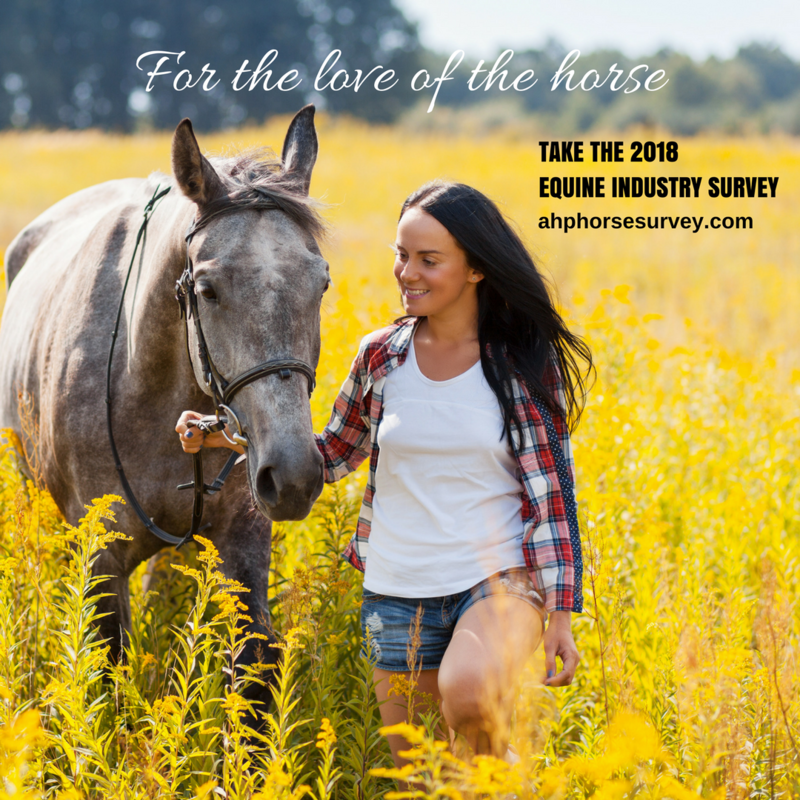 Horse owners who live in the United States, are 18 years of age and older, and who currently own or manage at least one horse are invited to complete the survey by April 1, 2018. American Horse Publications is dedicated to excellence in equine media through education and communication. AHP strives to be the primary source of education, resources and networking for the equine media community. We believe a proactive approach in an ever-evolving communications-driven world allows us the flexibility and opportunity to promote, support and reward excellence in equine media. For more information, please contact Chris Brune, American Horse Publications at ahorsepubs@aol.com or 386-760-7743 or visit the AHP website at www.americanhorsepubs.org. Zoetis (zō-EH-tis) is the leading animal health company, dedicated to supporting its customers and their businesses. Building on more than 60 years of experience in animal health, Zoetis discovers, develops, manufactures and markets veterinary vaccines and medicines, complemented by diagnostic products, genetic tests, biodevices and a range of services. Zoetis serves veterinarians, livestock producers and people who raise and care for farm and companion animals with sales of its products in more than 100 countries. In 2016, the company generated annual revenue of $4.9 billion with approximately 9,000 employees. For more information, visit www.zoetisUS.com.